You are buying the Dechra DermaLyte Shampoo For Cats Dogs Horses 1oz packet 60/bx, model #CSSW. At ADW Diabetes, we offer a wide selection of Dechra products for cats and dogs. At ADW Diabetes, we offer single and bulk packaging giving you the opportunity to save even more on the products that you use the most. 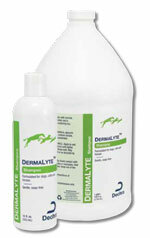 The Dechra DermaLyte Shampoo For Cats Dogs Horses 1oz packet 60/bx is designed for general purpose cleaning. Coconut Oil is an emollient and skin moisturizer that increases haircoat body, suppleness and sheen.